SAN FRANCISCO (KGO) -- A San Jose man accused of smuggling 100 pounds of marijuana from San Francisco International Airport to Boston was arrested Wednesday night. 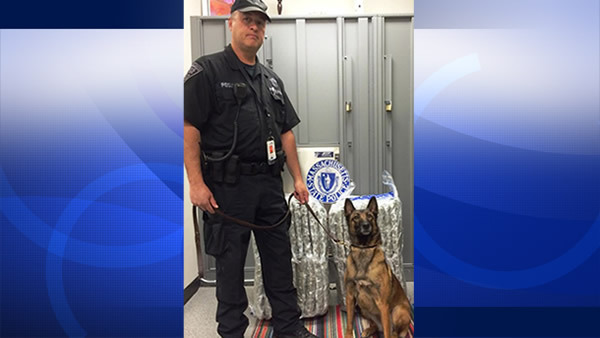 Massachusetts state police released a picture, showing a drug-sniffing dog and the marijuana troopers say they discovered in the suspect's baggage. Investigators focused on Trang Pham after they received information he was transporting illegal drugs.